February 4, 2013 February 4, 2013 / Julie Brook, Esq. You’ve taken depositions and got some great testimony for your case. Unfortunately, the jury wasn’t in the deposition room to hear it. So now that you are at trial, it’s your chance to make effective use of the deposition testimony in front of the jury. But how do you do that? Ascertain whether original transcript is available. You need to verify that the original transcript is available, so that it can be lodged or filed with court by the reporter or the custodial attorney when needed. Be sure that review, correction, and signing procedures have been completed. CCP §§2025.520-2025.560. Check local rules. Be sure to satisfy any local court rule or order that requires pretrial disclosure of portions of deposition transcripts to be used. Review statutory requirements. It’s important to comply with statutory requirements for using a deposition, particularly if the witness isn’t available at trial. If you don’t, you risk being unable to use critical deposition testimony at trial. Verify availability of witnesses. You have to exercise pretrial diligence to secure attendance at trial of unavailable witnesses, otherwise depositions can’t be read. Evid C §§240, 1290-1292; CCP §2025.620(c)(2)(E). And be prepared to prove by admissible evidence that you have exercised appropriate diligence—just stating “as an officer of the court” that you have been diligent in trying to secure an unavailable witness doesn’t make an adequate record and will be rejected by most judges. Lodge transcript. Before or when the witness first takes the stand, lodge with court the original deposition transcript with appropriate certification by the court reporter. Identify transcript. Before you begin reading prior testimony, briefly identify the transcript for the record and jury. Ask foundational questions. 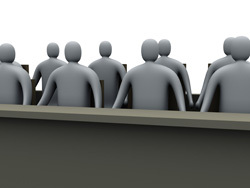 Although often unnecessary, consider using foundational testimony to impress the jury with the importance of a prior inconsistency, e.g., that the witness remembers the deposition and knew that he or she was answering under oath. Most jurors have never had a deposition taken and don’t understand the circumstances under which the testimony was given, i.e., that the witness was under oath and that the deponent was probably represented at the deposition by counsel. Ask permission to read transcript. Request permission to read from the transcript (you’ll need to decide whether to read it yourself or ask the witness to read it). Ask court to instruct jury. Consider requesting the court to instruct the jury on the nature and importance of deposition testimony. Designate portions of transcript. Announce the portions that you intend to read by inclusive page and line numbers. If the testimony is long, ask the court for permission to have someone play the role of the witness when reading the transcript. Allow time for review. Pause long enough for the court and opposing counsel to review designated portions for possible objections. Anticipate objections. If opposing counsel has any objection to any specific portion, expect it to be made and resolved before that portion of the transcript is read. Don’t ask witness to explain. After you finish reading the designated portion of the transcript, you need not ask the witness to explain discrepancies, to comment on the testimony, or whether his or her recollection has been refreshed. Don’t offer transcript into evidence. It’s generally unnecessary to offer deposition transcript into evidence, and the court will usually reject such an offer. Refer to deposition during closing argument. You can read or display previously read deposition testimony during closing argument. People v Coontz (1953) 119 CA2d 276, 282, 259 P2d 694. Keep in mind that jurors can’t take deposition transcripts into deliberations. CCP §612. Want more detail on each of these steps? 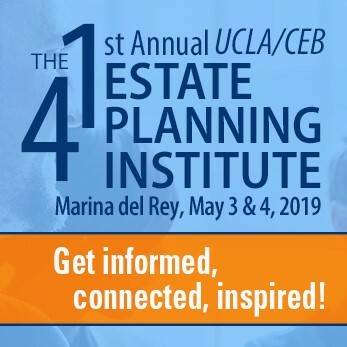 It’s all in CEB’s California Trial Practice: Civil Procedure During Trial, chap 12, which also includes practical tips on using other forms of discovery at trial. Also check out the step-by-step procedures in CEB’s Laying a Foundation To Introduce Evidence (Preparing and Using Evidence at Trial) and Handling Depositions. Thank you Julie-very helpful and practical advice. Tom Curcio.